Because studies are now mostly international, students are obliged to make long or short stays abroad. 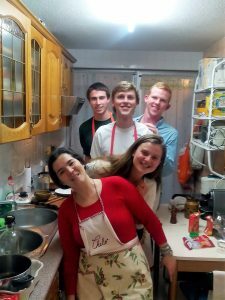 Whether you have to do an internship, or spend a trimester or semester in a Spanish University, Homestay for Students is the ideal accommodation option to improve your Spanish while being supported and thus be able to devote yourself fully to your studies. Parents concerned about developing their children´s ability to learn foreign languages as well as being able to work and study abroad, increasingly send them to foreign countries when they are under the age of 18. For these junior students, Your Family in Madrid offers an Immersion Juniors stay, which is fully adapted to our youngest customers who are placed in families with children of the same age with maximum support from arrival to departure, even with the possibility of Spanish language tutoring courses to optimize the immersion of young people. 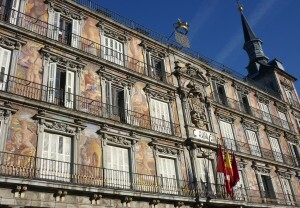 For travelers who prefer an authentic stay to the sanitized comfort of hotels, Homestay for Travelers is the best way to experience the Madrid lifestyle from the inside to soak up the Spanish life, its culture and gastronomy at a lower cost. This option offers many more cultural, linguistic and tourist activities (language courses, dance classes, cooking, visits and excursions) all of which can further enhance your stay. NB: The minumum stay for homestays for students, underage students and travellers is one week (7 nights). 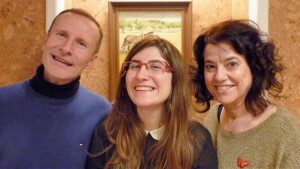 Assistance during all your stay: our team is in Madrid and knows perfectly the city. We are here to help! Are you a student looking for an internship? We help you to find a company in Madrid for free!